Sunshine washed the deck, guests splashed in the outdoor pool and diners sipped chilled beer on the alfresco terrace. A typical cruise-ship scene? Maybe, but this was January. Must have been the Caribbean or the South Pacific, then? Wrong. 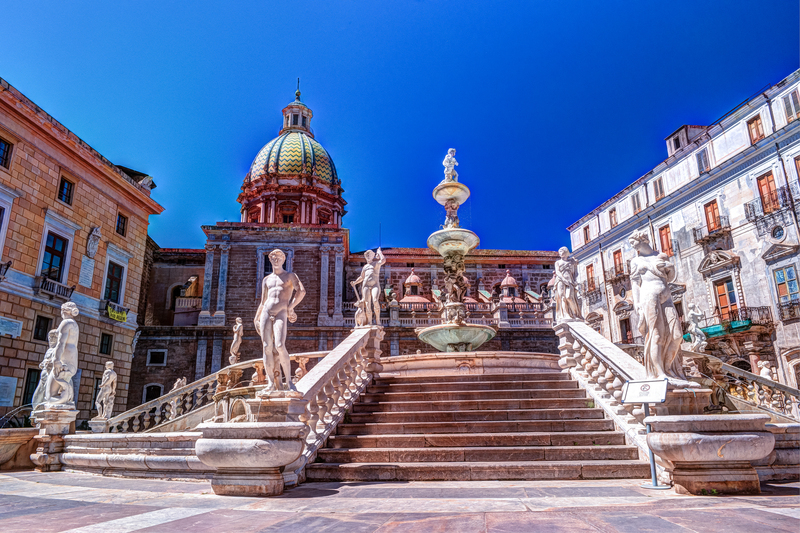 Viking Star was just departing Sardinia, and the city of Cagliari glowed in a honeyed light. The breeze was gentle and mild. Having shivered my way through previous winter breaks in the Mediterranean and its environs, I’d packed a few fleeces – and a raincoat – for my week’s cruise from Rome to Barcelona. Would I need them? Driving through January drizzle to Gatwick, I never doubted it. Yet on my first excursion, to the former Roman port of Ostia, I found myself scrambling among the ruins in a T-shirt, almost wishing I had risked my one pair of shorts (brought more in hope than expectation). 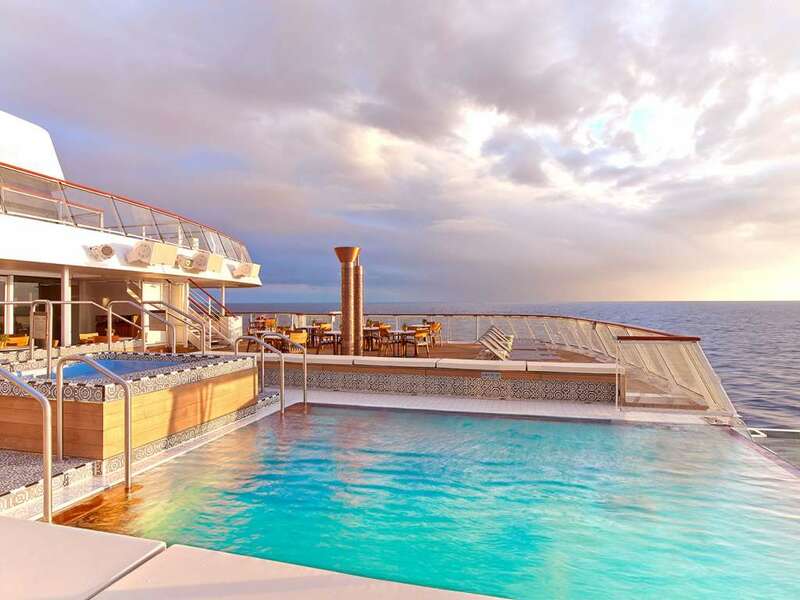 One of the few cruise lines to sail the Med in low season, Viking even offers a choice, with an alternative route between the same two cities via the French Riviera. It’s clearly worth their while because my sailing was nearly full, but why come here when there’s a real prospect of snow on the hills inland? Ostia answered that question too. Wandering among the crumbling burial chambers, amphitheatre and temple were two small Viking tour groups and a few curious Italians. And that was about it. In summer you’d be fighting your way through a forest of selfie sticks. Following Donald Trump’s declaration on Jerusalem, my seven-night “Southern Mediterranean Discovery” voyage turned out to be more of a Mid-Med Medley, with scheduled calls in Algiers and Tunis cancelled for security reasons. But the replacements – Naples and Mallorca – were suitably enticing. Temperatures in the former were nudging a very pleasant 70F. But this was Epiphany, a public holiday, and it seemed as though half of Italy had descended on the narrow alleys of the city centre. It took me a good 20 minutes to negotiate the crushed 150 yards of a peculiarly wonderful lane, packed with tiny shops selling handcrafted Nativity scenes. That was the one time on this cruise when I felt remotely claustrophobic, and I sought sanctuary among the tiled pillars in the cloister of Santa Chiara. The famed Neapolitan pizza kiosks were also mobbed, so I made my way back to Viking Star for the more than adequate recompense of scones with clotted cream in the Wintergarden. Despite sailing close to capacity, the 930-guest ship felt half-full. There were no queues, even for meals, but it certainly wasn’t dull. A lively pre-dinner crowd formed every night at the bar in the Scandi-cool atrium, and another in the seventh-deck Explorers’ Lounge (one of the most appealing public spaces to be found on any ship, with its wraparound windows, reindeer pelts thrown on comfy sofas and a museum-quality collection of nautical artefacts). Of course, we couldn’t entirely escape the winter weather. As we skirted Sicily, our captain informed us that a forecast of gales would prevent our call into the small, shallow harbour of Trapani. Frantic rearrangements behind the scenes saw us arrive in sheltered Palermo, the island’s earthy and atmospheric capital. I’d always wanted to visit Erice, an ancient hilltop town, and my pre-booked optional excursion now involved a two-hour road trip. But at least this gave me the chance to admire Sicily’s rugged scenery. With the cable car closed due to the weather, we twisted upwards via a succession of hairpin bends. At our destination the wind sent my cap flipping across the car park as soon as I stepped down from the coach. Vicious gusts, funnelled by the narrow streets, crackled in our Quietvox headsets as our guide gamely tried to illuminate the town’s history and architecture, and from a viewpoint I could see the sea fizzing with foam nearly 3,000ft below. Well, at least I got to wear one of my fleeces. I’m happy to say that was the only genuinely chilly experience of the whole cruise – apart from my trip to the Snow Grotto in the ship’s spa, a cubicle bathed in the blue glow of a Nordic twilight with real snow on the floor. “You’re supposed to wear the plastic shoes!” laughed a fellow guest in the hydrotherapy pool when I emerged quivering after just a few seconds. We were expecting a bumpy journey across to Sardinia but I rolled a lot more than Viking Star did after exiting the ship’s nightclub, Torshavn, my head spinning not just from the cocktails but with the Motown classics from the excellent live band. A brilliant singer had grabbed the mic for a few classics; it turned out he wasn’t part of Viking’s entertainment team but a fellow guest – a lawyer from San Francisco. That’s the sort of thing that can only happen on a more intimate ship. Gloomy skies greeted our arrival at Cagliari the next day, but the sun soon emerged and a pleasant half-day was spent investigating this quirky city and its surroundings on a complimentary tour. On Poetta beach (at five miles the island’s longest) the numerous bars were shuttered and waiting for spring – unlike a flock of pink flamingos on the nearby lagoon that had seemingly forgotten to migrate. Viking ships tend to stay longer in port than most, but our revised route via Mallorca obliged us to make haste. Spending an afternoon at sea, in the mellow winter sunshine, was an absolute pleasure as I relaxed on my private balcony (everybody gets one on a Viking ship) and enjoyed a little golfing practice on the top deck. Approaching Palma, another reason for cruising out of season became clear – quite literally – as Mallorca appeared on the horizon. We were still a couple of hours from docking but there it was, razor-sharp in crystalline light unclouded by the summer heat haze. It was almost a shock to see another cruise ship in port, but I found solitude once more (as did Frédéric Chopin, who wintered her in 1838) on a free tour to the historic mountain village of Valldemossa. By Valencia, our penultimate destination, I’d decided it was time for a strenuous walk (Viking’s food is outstanding, and my fruit-for-breakfast resolution had given way at the first sight of crispy bacon and omelettes straight from the pan). From the ship I could see the bizarre buildings of the futuristic City of Arts and Sciences, designed by local hero Santiago Calatrava and constructed between 1996 and 2009. Not far at all, I thought (there’s that clarity of air again). In fact it took me nearly an hour. The structures – science museum, opera house, IMAX cinema – were blindingly white in the sun. I have an obsession about not including people in my photos but the complex was virtually deserted and I could snap away to my heart’s content. I continued walking to the old town via the Turia Gardens which, until a 1960s diversion plan, were a river. The numerous bridges now span sports courts, cafes and orange groves, and it was so peaceful that I found the occasional jogger bustling past mildly annoying. The lunchtime light was as crisp and sharp as a pint of autumn cider; the temperature just the right side of one layer of clothing. Even Valencia’s handsome old centre, which draws worldwide visitors to its cathedral’s claimed Holy Grail and its Art Nouveau indoor market, was about as busy as a Wednesday afternoon in your local high street. Back on board, as we cast off for Barcelona at dusk, I stepped out on deck. Yes, it was cool; the patio doors of the two main restaurants were firmly closed and the retractable roof over the pool was sealed shut. But I was filled with warmth from having experienced the Mediterranean in a refreshingly different way – one that I didn’t have to share with a million others.